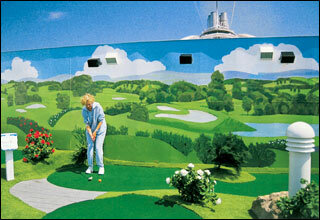 Deck 11 features a golf practice cage, shuffleboard, and plenty of deck space where you can stretch out under the sun. 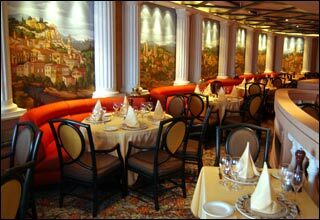 Deck 10 is filled with dining and entertaiment options: the Pacific Lounge nightclub, Library & Writing Room, Sterling Steakhouse, and Sabatini's Italian Restaurant. 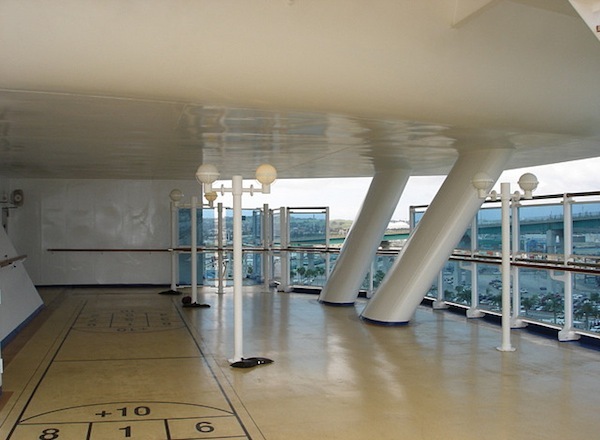 Deck 9 is filled with dining and entertainment options, including the Panorama Buffet, Pizzeria, BBQ, a pool and whirlpools, Pool Bar, Internet Cafe, the Card Room, Lotus Spa & Fitness Center, Bandstand, and acres of deck space upon which to sun. 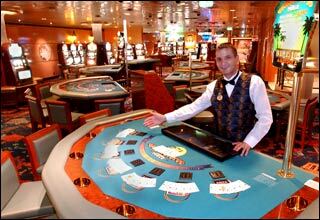 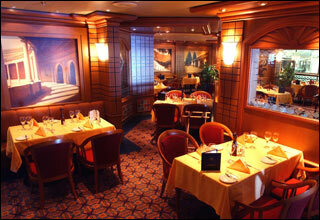 Deck 8 features staterooms in categories OS, AA, AB, AC, BA, and II. 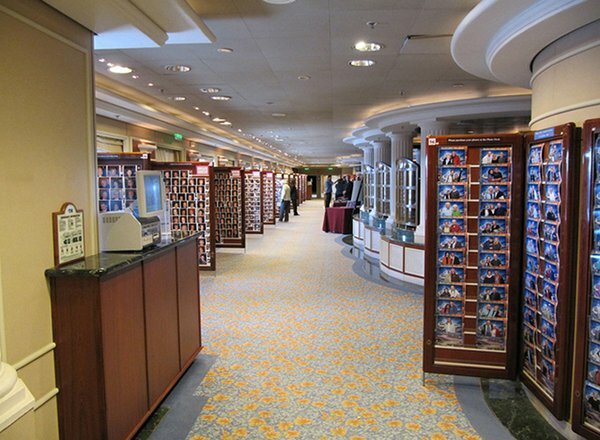 Deck 7 features staterooms in categories OS, PH, BA, BB, BC, BF, CC, I, and J.
Deck 6 features staterooms in categories OS, PH, BA, BD, BE, BF, C, GG, G, and K.
Deck 5 is filled with dining and entertainment options. 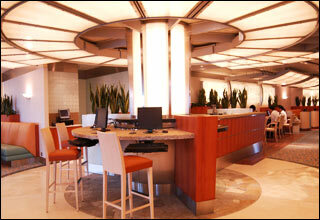 Shops, the Photo-Video Gallery, a casino, Club Restaurant and Bar, Cabaret Lounge, and Princess Fine Arts Gallery are all located here. 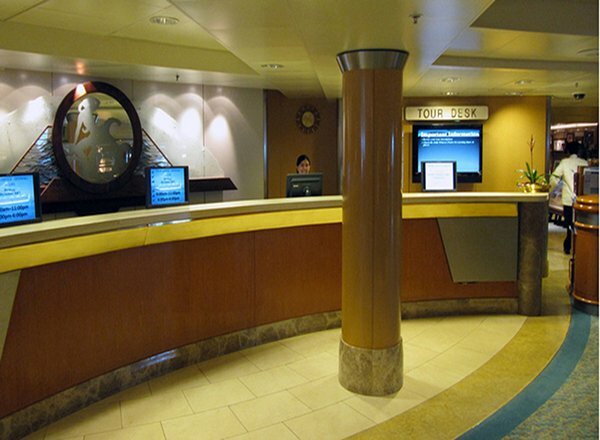 Deck 4 features staterooms in categories D, E, K, and L. The Passenger Services Desk, Shore Excursions Desk, and Medical Center are also located here. 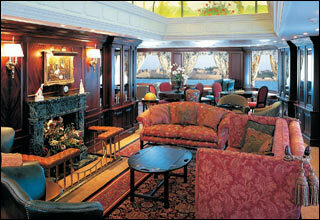 Deck 3 features staterooms in category F.